They say that trends repeat every 20 or 30 years, which is why we aren’t surprised that we’ve been feeling the ‘90s in the Express Design Studio lately. There’s something about the decade’s mix of minimalism, prep, and athleticism that feels very of-the-moment. But before you go wearing hammer pants with a windbreaker and a backwards hat, check out our shortlist of items we think have just enough throwback flavor without veering into costume-shop territory. Combine them with your 2018 staples (and haircut) and you’ll be on trend in the best kind of way. Bomber jackets are a wardrobe staple, but this version gives the military standby a retro spin with navy tipping at the collar and cuffs and a bright white body. Wear it with an untucked button-down to play up the varsity flavor. DO: Let the bright white color of the jacket be the focal point of your outfit. DON’T: Wear it with white wind pants in an effort to bring back mall-walker style. It’s been a minute since oversized cardigans were a thing—and man, did we miss them. They’re cozy and let you show off your T-shirt game, for starters. 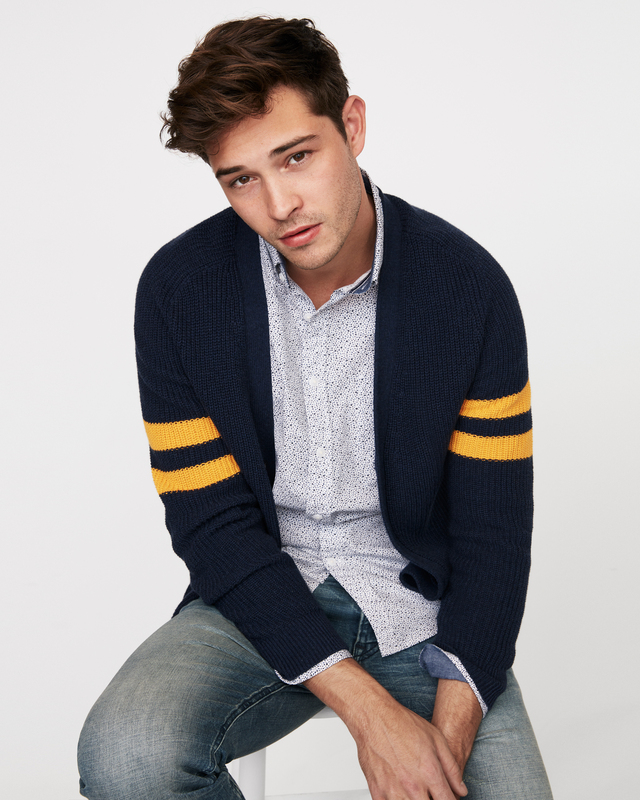 Our collegiate-striped cardigan also has serious “star quarterback” vibes. DO: Push the sleeves back to show off your forearm tat. DON’T: Wear it with parachute jeans and a longline T-shirt. 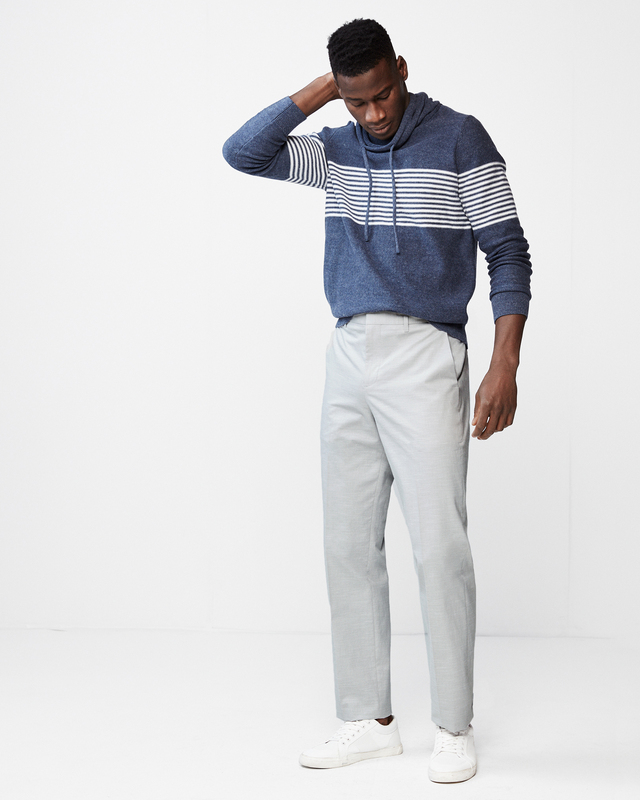 Sporty rugby stripes are the pattern you can wear with just about anything, from slacks to sweats. That’s especially true in polo form. 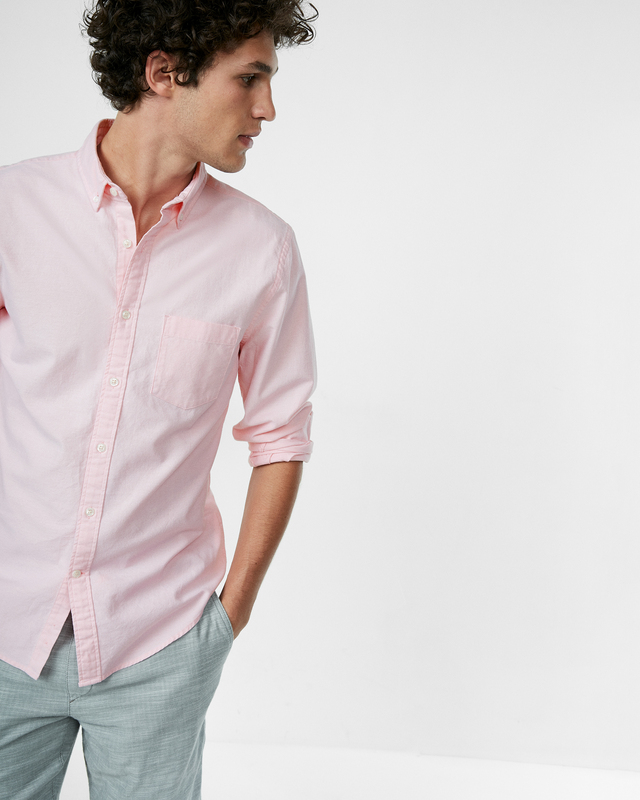 Who knew a simple cotton shirt could look so sharp? DO: Wear it under a navy suit for a sporty office look. DON’T: Wear two at the same time, with the collars flipped up. If years of wearing skinny jeans has you feeling a little claustrophobic, you’re in luck. Roomier fits are having a moment. Just do us a favor and don’t go full ‘90s with your outfit. One nod to the past is plenty. DO: Wear them with shoes substantial enough to handle a puddle hem. DON’T: Just say no to bad square-toe dress shoes. Pastel colors are a hallmark of the prep scene, especially around the late ‘80s. While you should be careful not to pile on the hues quite as aggressively, a soft-color shirt can do a lot to bring your neutral pants to life. DO: Wear a pink shirt with olive-color trousers for a fresh spin on military. DON’T: Finish the look with a pastel cable-knit sweater tied around your shoulders. 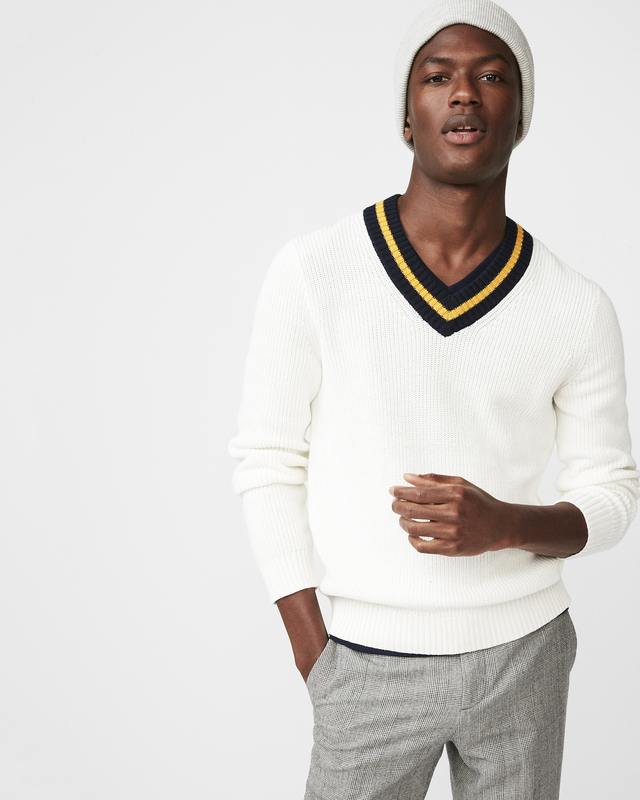 Whether you wear it with distressed denim, tweed trousers, or rumpled chinos, the cricket sweater is a preppy icon that’ll polish any pair of pants right up. The chunky collar and rib knit will even make you look like you’ve been hitting the gym. DO: Wear the sweater on the fitted side, with mid-rise trousers or jeans that just hit the hem. DON’T: Buy it in an XXL and add work boots and round sunglasses into the mix. You know you’re a prep when you own multiple pairs of white pants, including some not-quite-white dress pants like these. Style them with sporty-but-polished staples like bright white sneakers and knit hoodies for a modern twist. 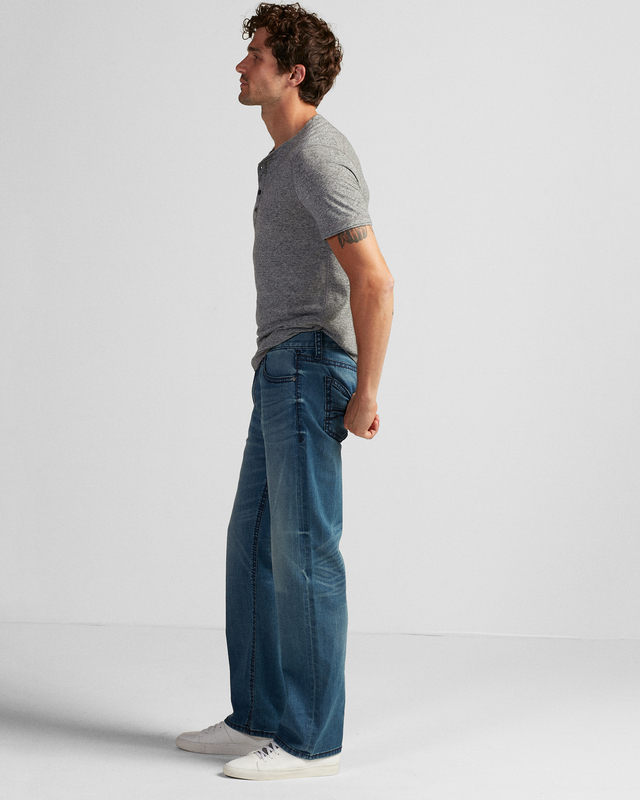 DO: Treat them like jeans or even joggers for a more relaxed feel. DON’T: Tight roll the ankles and add loafers with chunky socks into the mix. 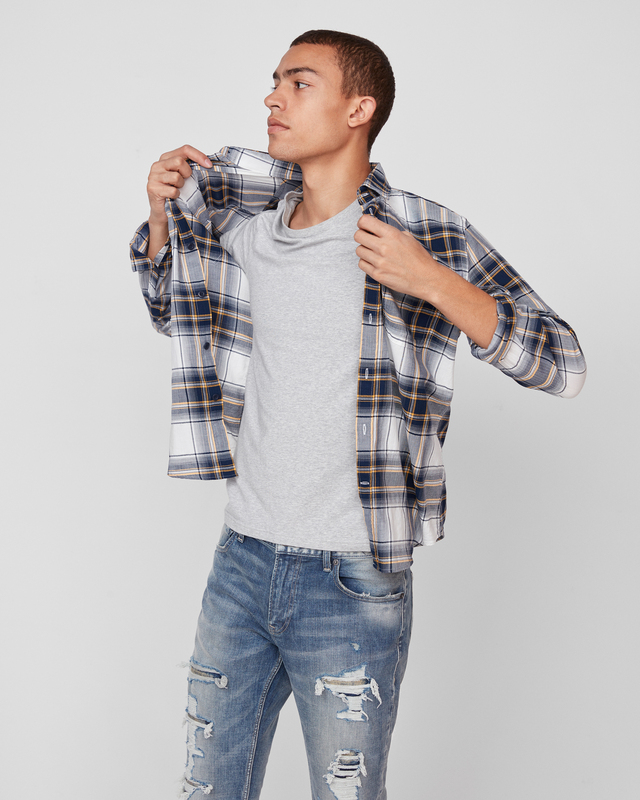 The plaid flannel has touched several menswear genres, from prep to grunge and even athleisure. Button it up, tuck it in, and add a puffer vest for some Ivy League flavor. Or just throw on your best jeans and call it a day. DO: Play off the plaid pattern wearing pants or accessories in similar hues. DON’T: Wear one flannel over your shoulders and one tie around your waist.